Melbourne is situated on a horse shoe shaped bay called Port Phillip Bay. 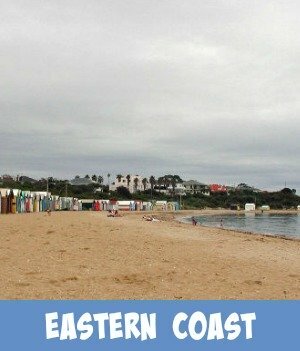 Some of Victoria's best swimming family beaches can be found all around the bay's coastline. Some of the foreshore is flat and easily accessible, whilst other beaches can be accessed by climbing down from the cliff face. You will most likely find pathways or steps that will make your climb easier and the beach more accessible. Suburbs that have been built along the bays coastline have also built excellent foreshore parks and accessible pathways, making these areas excellent places to spend time with the family at anytime of the year. Foreshore barbecues make time at the beach a 4 season activity. A place to celebrate birthdays, special occasions and of course that special wedding day. There's nothing like wandering along a beach foreshore and seeing a wedding celebration. There's something special about the atmosphere and the surroundings. Beaches make great places for a family photo opportunity or just a photo of the beach itself, especially at a sunrise or sunset time of the day. Photos of the family dog frolicking in the salty water, make for great memories to cherish. Capture your little one's first dip in the ocean or their first sand castle. Now how about sharing this memory with us all here? 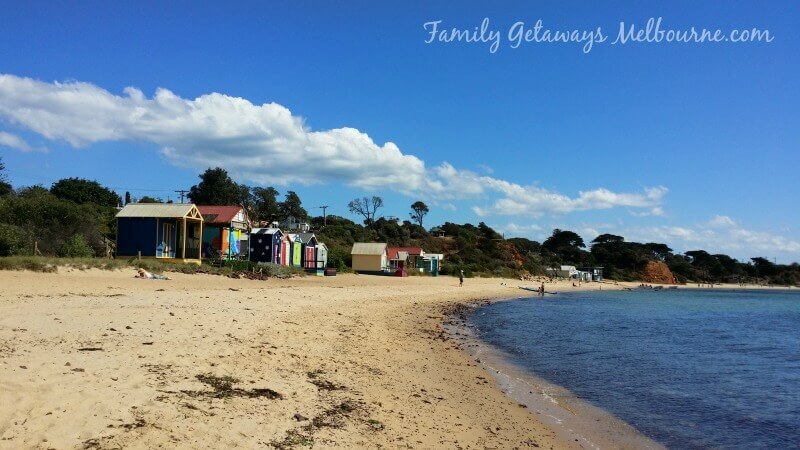 The flat and easily accessible beaches along the Mornington Peninsula are perfect places to capture the exotic and colourful boat houses that dot the foreshore. From Mordialloc and all the way down to the end of the foreshore at Portsea, there are so many beaches that have these fun little painted sheds popped on the sand and just above the waterline. Here you can use them as backdrops for an excellent snapshot of your family and you having fun at the beach! 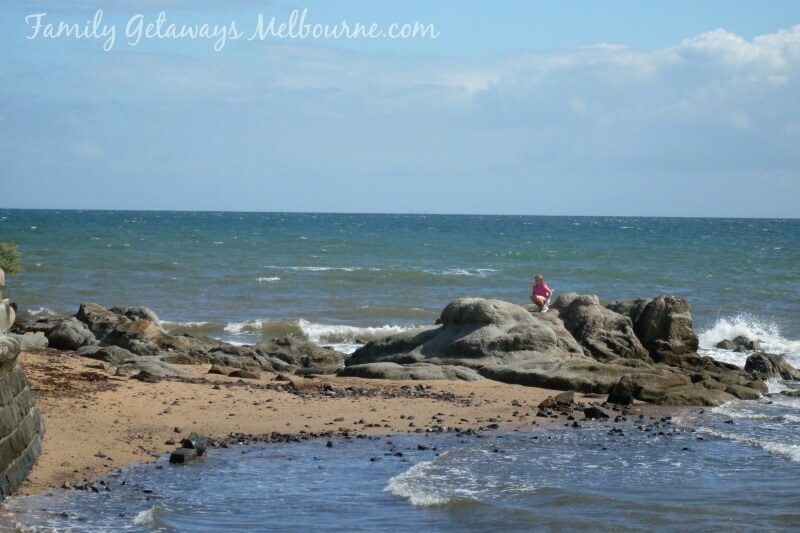 Rugged back beaches can be found all along the Victorian southern ocean coastline. Each one of these beaches offer different experiences to enjoy. 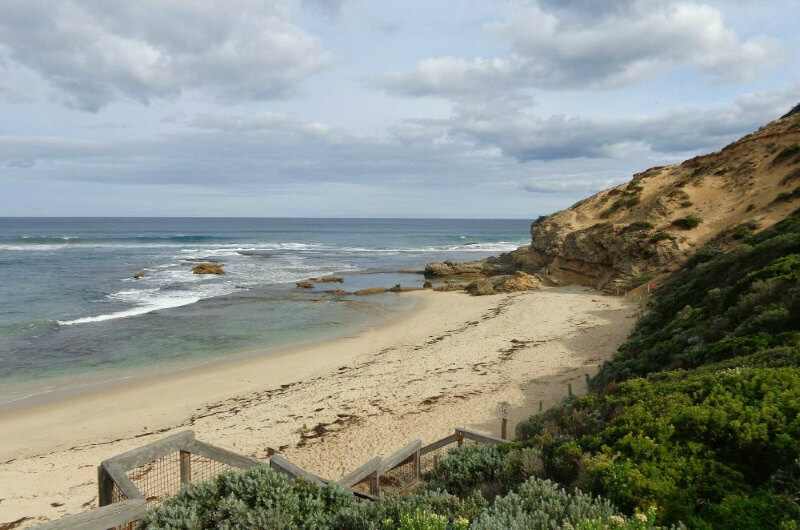 Whether it be to rock climb, beachcombe, surf, swim or just enjoy a family picnic, these beaches make for excellent day trips to take the family on. I grew up in Melbourne where most school holidays were spent at the beach. If you weren't swimming in the clear, cool waters of Port Phillip Bay, then you were climbing over the rocky shorelines of Melbourne's back beaches. I started my love affair with sea, salt and crystal clear water at a very early age. When I finally got the chance to share my love affair with my family, I was thrilled. I have great memories of times spent with my own family at Melbourne's top beaches. I still have all the photos to browse through, when I get the inclination. My favorite beach these days is Frankston. Patrolled during the busy summer season by our amazing Lifesavers. The soft sand is cleaned regularly. There is shade to get relief from the hot Australian sun. There are adequate and clean toilets. There is a Kiosk for refreshments and a great Foreshore restaurant. A modernized pier to wander along or fish from. Boat hire and boat launching ramps. It is easy to watch your children. Have You Had The Chance To Enjoy A Day At The Beach Lately? 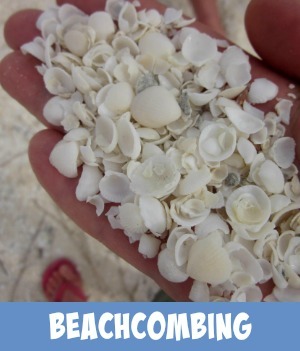 When I was a youngster I used to love walking along the sand and collecting sea shells. I find that the process clears my head and refocuses my mind on what is important in my life. Do you feel the same way? Usually I arrive home with a few treasures to help jog me back should I wander off track again. These day my favourite past time is collecting Sea Glass and old, worn pottery shards. I hope to turn the collection into a fun hobby in the near future. Use the form below to record your family beaches experience. Read below how others have shared their fun time at the beach. Your story will appear on it's own page, like the others, on the website here. You can share your page and story in your social media platforms. Once the page is up on the site here, you will have a url (page address) to direct your friends and family to. Something fun to do if you have relatives overseas. 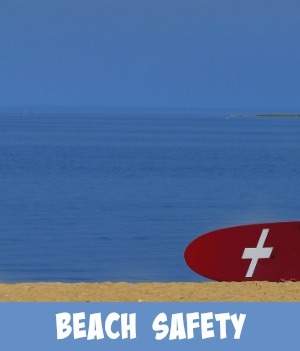 Click on the links below to see some great reviews about fantastic family beaches. They were all written by other visitors to this page.